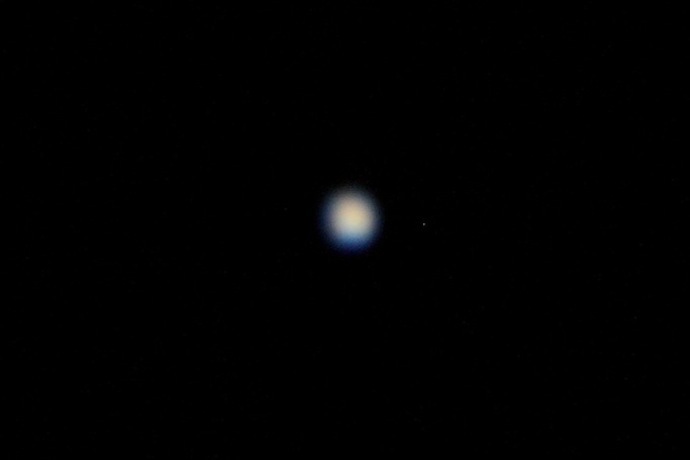 Uranus - The small, slightly bluish blob in this picture is the planet Uranus. Uranus is one of the gas giant planets, but because it is far it appears much smaller than the other giants Jupiter and Saturn. Uranus is the seventh planet from the Sun, and the second farthest planet from Earth, beating only Neptune in proximity to our home planet. (Pluto, which was once the furthest, is no longer classified as a planet).